November always means one thing for me, poppies! On the run up to Remembrance Sunday, we will be seeing the pretty flowers adorning most people’s lapels in recognition of the support and sacrifice made by our Armed Forces, past and present. Here at Tartan Towers, we would like to do our bit to support. In addition to supplying our lovely customers with more fabric goodness, we have added a new mini-bundle. Only for the month of November, Poppy is the theme for the box. We will donate £1 from the purchase of each bundle to the British Legion. 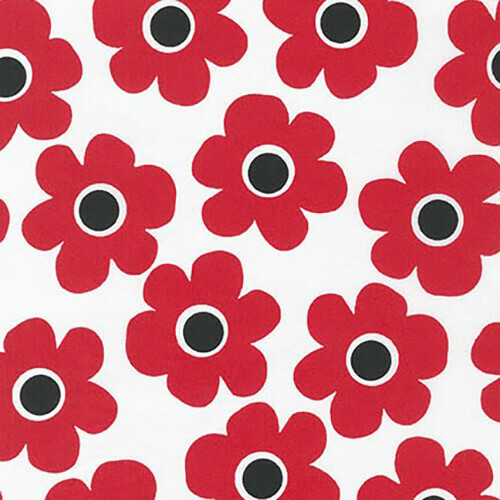 As an added bonus, postage is included on the Poppy Packs. Just enter the code ‘NOVEMBER’ at the checkout. Included in our beautifully packaged boxes is a standard sized fat quarter of the Robert Kaufman Remix in Tomato, which is as close to a poppy print as we have, a fat quarter of Kona solid in Poppy Red and a coordinating red Gutermann reel (100m). Packs can be browsed here and can be found straight from our home page. These colours are also fantastic for any Christmas makes you have coming up. As always the fabrics are 100% cotton of the best quality. Read more about the British Legion and their 2016 appeal here, where we are encouraged to Rethink Remembrance.